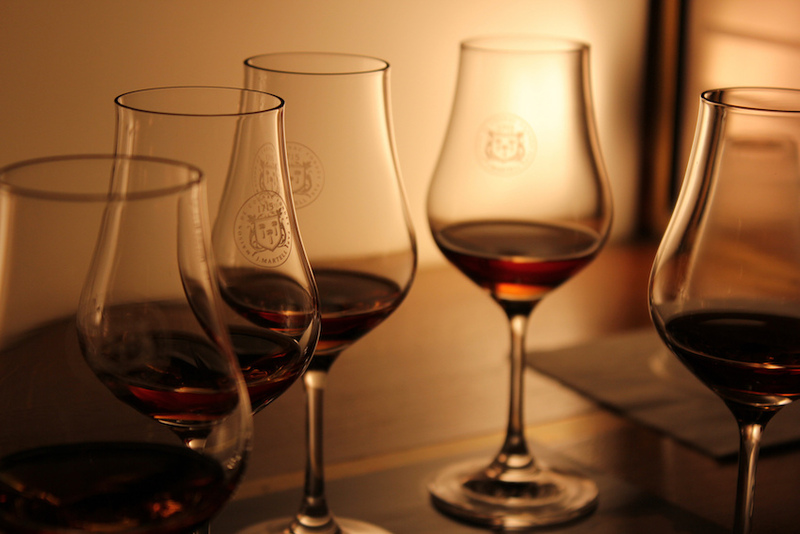 Once you discover the joy that is Cognac, it’s natural to want to learn more about the tasting process. 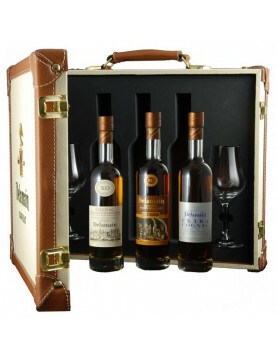 And one of the best products to purchase if you want to do this is a Cognac tasting set. You can find all the available tasting sets in our online store. And even for the connoisseurs out there, a tasting set is an excellent way to further enhance your knowledge, perhaps to discover a new brand, or as a gift to a loved one or a potential Cognac lover. So let’s take a look at some of the best tasting sets there are, and also, a little more about the art of tasting Cognac. The Best VSOP Set is a great combination of VSOP Cognacs that’ll give anyone a great insight into the variations such a quality can offer. It contains three full sized bottles (70cl), each from a different producer. 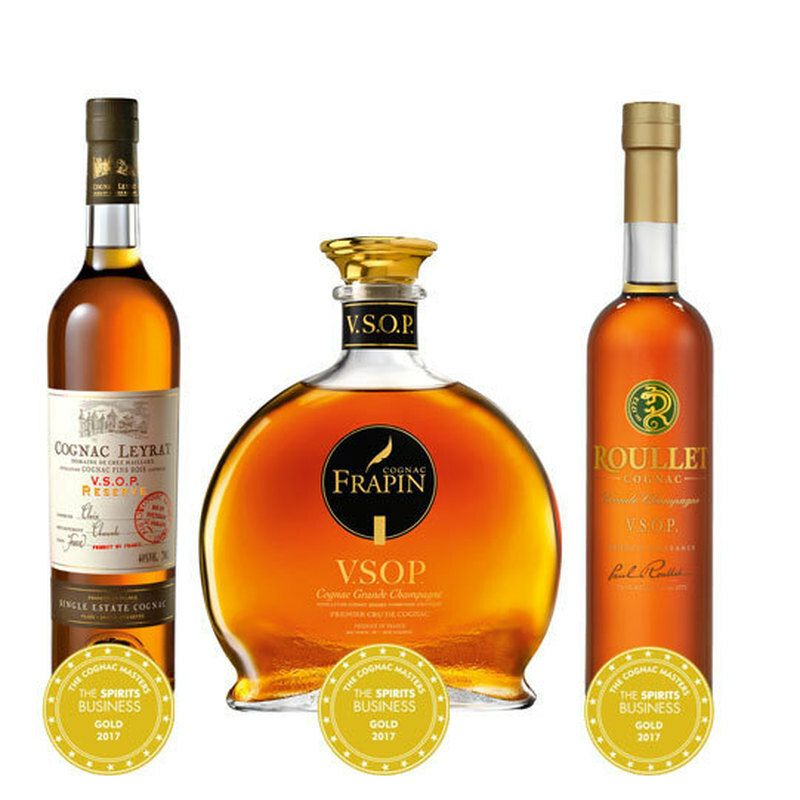 The first bottle is the multi award winning Frapin VSOP Grande Champagne Cognac. It’s a wonderful example of why Grande Champagne is called the ‘Premier Cru’ of the growing regions, and you’ll discover both balance and complexity in the tasting process. Next in the set you’ll find the Leyrat VSOP Reserve. This blend is made of eaux-de-vie from the Fins Bois terroir, and will take you on a wonderful journey into how differently the grapes grown in these soils taste from those in Grande Champagne. Fruit and oak aromas and flavors abound when you drink this quality Cognac. 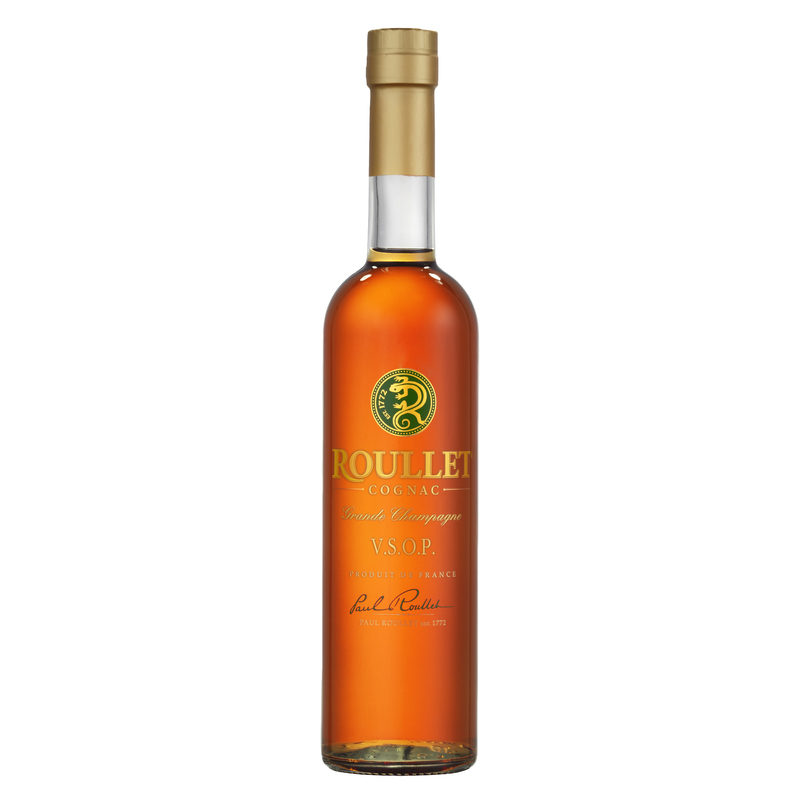 And last, but certainly not least, is the Roullet VSOP Grande Champagne. Exceptionally well balanced, it’s great to have two Cognacs grown in the same area to contrast with each other. Very different from the Frapin in many aspects, it’s fascinating to discover how different blends from different harvests – and, naturally, the skill of the cellar master – can create such a unique stamp on the finished product. Another full sized bottle compilation, the Napoleon Tasting Set comprises of Cognacs that are, as the name gives away, of a Napoleon level. Napoleon Cognacs tend to be of a quality that is marketed as an in-between of a VSOP and an XO. But officially, they could be called an XO, because they adhere to the minimum aging period for such a Cognac, which is six years. Most tend to be a blend that comprises eaux-de-vie that’s been aged for far longer than that. But the important thing to know about Napoleon quality Cognacs is that they are older, and therefore smoother and more complex, than their VSOP cousins. So what can you expect from this trilogy? The Bowen Napoleon Cognac delights with an explosion of violets and jasmine aromas. The youngest in the selection, it’s a blend of eaux-de-vie from the Borderies terroir of the region, an area with a clay soil containing lots of flint. It’s the smallest of all the crus, and grapes grown here tend to be exceptionally round and smooth. This is a great example of such a Cognac. Next is the 15 year old, Paul Giraud Napoleon. This is a creation that shows off the very best of Grande Champagne. Light and floral, it’s the epitome of why Cognacs that hail from these chalky soils are so sought after by both producers and consumers. The third bottle is the A.E. D’Or Napoleon. A blend from Grande Champagne, Petite Champagne, and Borderies, this is a real contrast from both the others in the set. Prepare for a spicy taste experience, with an exceptionally good length of finish. 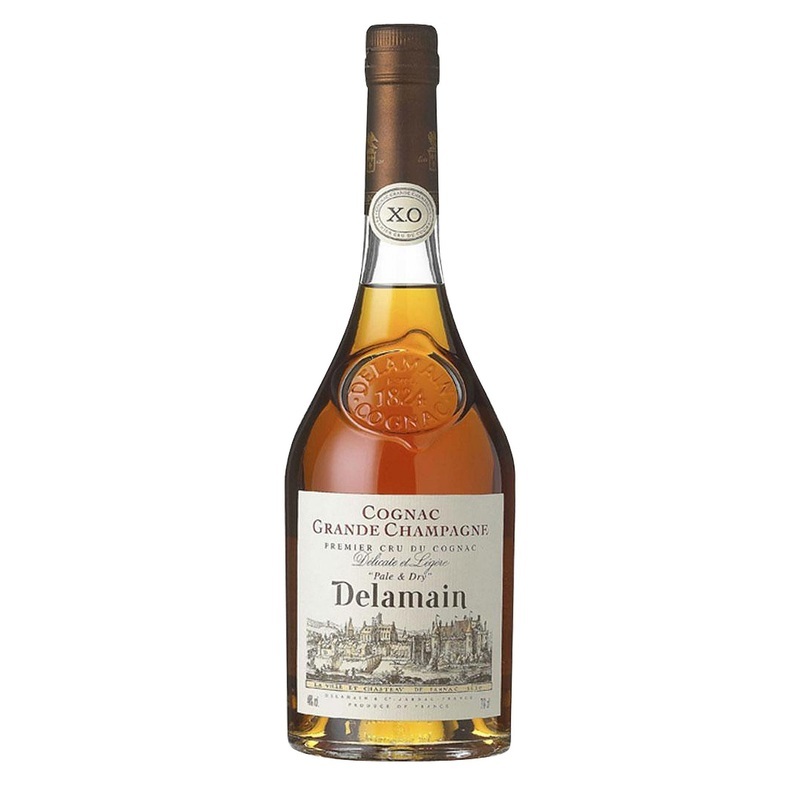 Moving onto the XO selection, we recommend the Delamain Attaché Box Ambassador for a fascinating journey into how Cognacs from the same cru (Grande Champagne), and the same producer can taste so very different. Each of the bottles in this set are 20cl in size, and come in a smart ‘attaché case’ style presentation box. The Delamain Pale and Dry XO is so called because of its pale shade and slightly sweet taste. It’s bright in color, with an intense nose of floral and vanilla, followed by a fruity, well rounded taste on the palate. It’s also a great example of how an older Cognac leaves you with a solid, long lasting finish that lingers for a good few minutes. Next is the Delamain Vesper Grande Champagne – an amber gold Cognac that’s a wonderful example of the miracle of ‘rancio’, a taste sensation that only occurs in older Cognacs. A strong nose is followed by a surprisingly soft, round palate that delights with hints of a variety of fruits. Also included is the Delamain Extra de Grande Champagne. This is a blend of two eaux-de-vie that are aged separately at first, then combined together and placed in another oak barrel for the final two years of aging. A powerful Cognac, with a strong nose, and bold, rounded, fruity tones on the palate. The A.E. 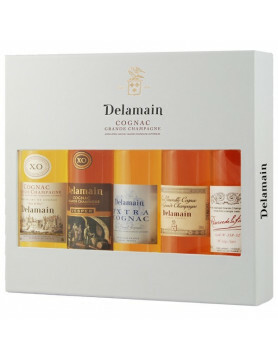 d’Or Coffret Degustation Tasting Set comprises of four bottles from four different growth areas. Each bottle is 20cl in size and the set is presented in a wooden box. This is a wonderful selection that allows you to truly appreciate the differences between the official qualities of Cognac. There’s a VS, VSOP, Napoleon, and an XO, allowing you to carry out your own journey into the qualities each one offers. 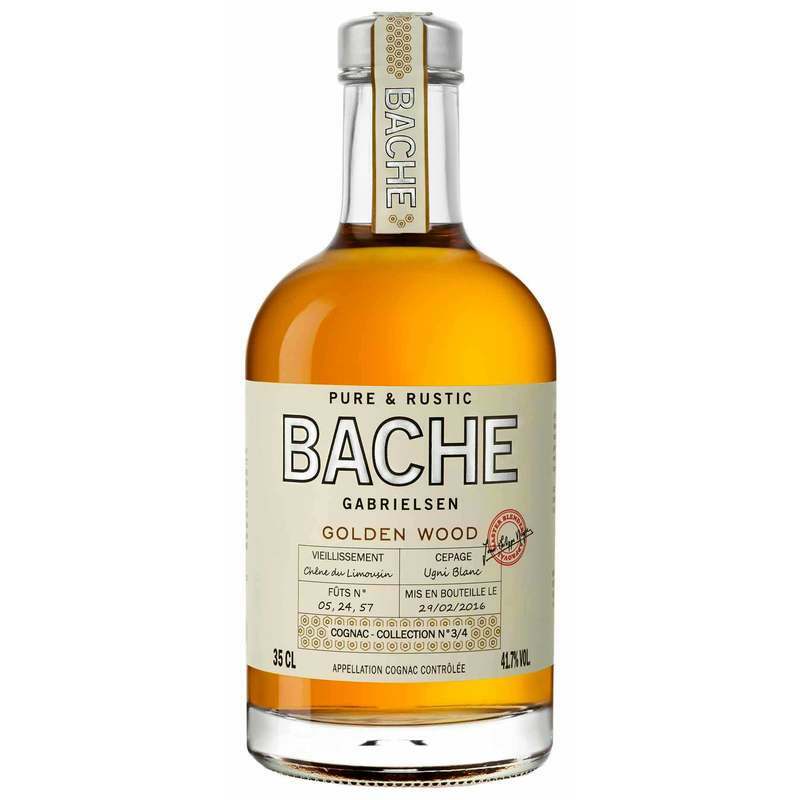 For something that breaks with tradition, why not try the Bache Gabrielsen Pure and Rustic Set. But don’t worry, it’s the descriptions that make it ‘un-traditional’ – it still consists of Cognac made with all the skill and passion that’s been the same for hundreds of years. What sets it apart is the fact that all of the four 35cl bottles in the set have been purposely produced without being defined by the traditional qualities (VS, VSOP, XO etc.). Instead, each has been described specifically by its taste and aromas. This makes it a great opportunity for both the novice and connoisseur alike to understand the complexities and delights of how different a Cognac can be. There’s the Pure and Rustic Secret Garden – a floral, woody blend that abounds with notes of eucalyptus and honeysuckle. The Pure and Rustic Fruity Harvest is a fresh, fruity offering with notes of vanilla, pear, and almond. The woody, Pure and Rustic Golden Wood abounds with notes of liquorice, cloves, and toasted bread. And prepare for the spice sensation that is the Pure and Rustic Spicy Trip, with its notes of black pepper, nutmeg, and orange zest. There used to be a time that it was rare to find a Cognac that was vintage. And what this means is that it’s the creation of an eaux-de-vie from a single year’s harvest. Unlike spirits such as Whisky, Cognac has for centuries relied on its traditional quality labels of VS, VSOP, and XO. But times are a-changing. And it’s now more common to find Cognacs that are age specified, or from a particular year, and most of these also tend to be single estate cognacs. 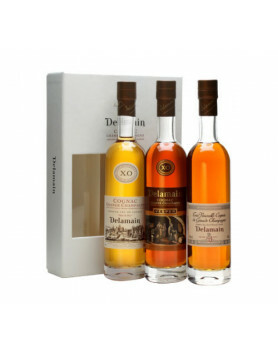 And the Chateau de Beaulon Triadine Tasting Set gives you the opportunity to discover three very such Cognacs. 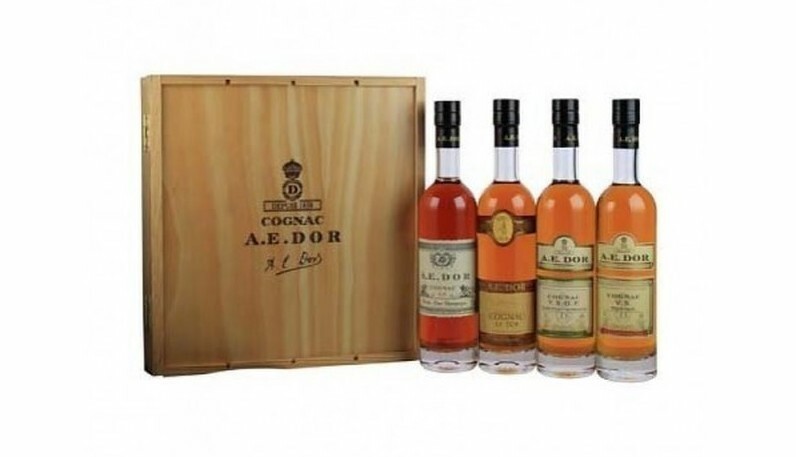 All of the Cognacs in this set are 20cl in size and come from the Fins Bois terroir of Cognac – an area that produces eaux-de-vie that’s exceptionally round, and with the delightful bouquet of freshly pressed grapes. The first is the Chateau de Beaulon Folle Blanche 7 year old. As its name suggests, this is made purely from the grapes of the same name, and is an eaux-de-vie that’s been aged for 7 years. The Folle Blanche grape is interesting. Before the phylloxera crisis of the 1860s, this was one of the most common grapes grown in the region. Now it’s one of the rarest, because grapes such as the Ugni Blanc are by far the growers most common choice because of their hardiness, resistance to disease, and their ability to provide an abundance of eaux-de-vie from their fruits..
Next up is the Chateau de Beaulon Grande Fine 12 Years Old. This is almost double the age of the Folle Blanche, and is a great contrast to the younger Cognac. 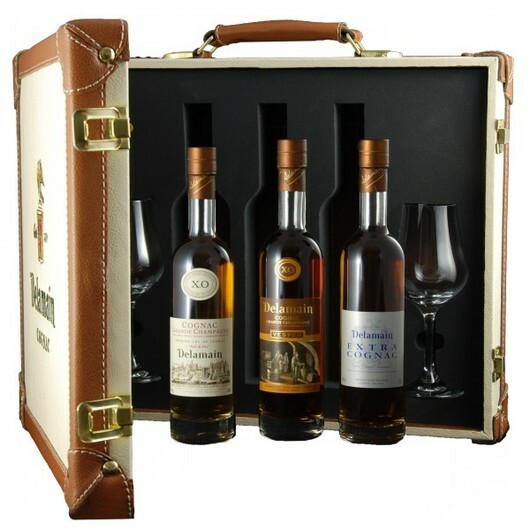 Completing the set is the Chateau de Beaulon Très Vieille Réserve Vintage 1983, a multi award winning Cognac that’s truly going to show you the brilliance of why you should treat yourself once in a while to a top quality Cognac. The Eye – or in other words, the look of the Cognac. In general, the older a Cognac is, the darker it is in color. The Nose – the smell and aromas of the Cognac. This is something to take your time over, because they can evolve as you enjoy them. So take a minute or two to savor this experience. The Palate – in other words, the taste. Again, this can change the longer you hold the Cognac in your mouth. The Finish – this is how long the taste remains after you’ve swallowed the drink. Older Cognacs have a much longer finish than those still in their youth. And if any of the above tasting sets don’t quite whet your whistle, then check out the other’s we’ve got available in our online store. Cocktails Spirits – A Dash of Cognac in your Mixed Drinks! Cognac and Vodka.. What’s the difference?